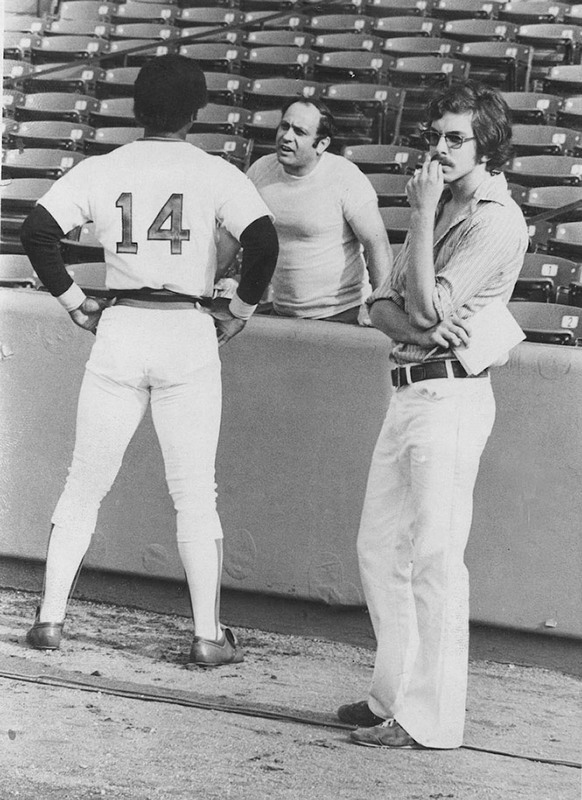 The author waits his turn so he can be further ignored by Jim Rice, 1978. The 1977 season, rewound, replayed, reimagined and put through the wah-wah pedal. Using the classic Strat-O-Matic baseball game, the almost-best 16 teams from that funkified year do battle for 154 games, under the absentee-managed guidance of notorious baseball writers and bloggers from around the nation. I’m Jeff Polman, your ’77 tour guide, thrilled to be liberated from the Jazz Age constraints of my earlier, even more exhausting 1924 replay blog. The esteemed managers have been kind enough to send me lineups against righties and lefties, a 5-man pitching rotation, and let me roll. They have the ability to make changes throughout the season, and are free to post their comments and PG-rated trash talk to my special “Wah-Wah Page”. I trust you will find the season entertaining, especially through the colorful words of C. Buzz Gip, your more-than-humble, less-than-sane 1977 narrator. Look for posts on Mondays, Wednesdays, and Fridays, with Twitter updates in between when extra funky stuff happens. May the best and luckiest team win! !